Say it with me, we love pickles! Fry them up till golden brown, serve them up in cotton candy, or shoot the juice with whiskey-we love it all. So whenever a new pickle product is on the market we are more than enthusiastic to share it, and this summer we are planning on chilling with a whole big bag of these Vlasic pickle chips at the pool. No, I'm not talking about hamburger dill chips you can add to your sandwich. I'm talking about crunchy, salty chips you can munch on. These vacuum-fried slices of pickle are the perfect addition to any cookout. According to a statement made by Thomas M. McGough, co-chief operating officer and executive vice-president of Conagra Brands, a Chicago based company, "Pickles has always been a flavor that people have loved in snacks, whether it's potato chips or even in our Bigs Vlasic dill sunflower seeds." He's got that right. There's something about dill pickles that just tantalize your taste buds. "Pickles themselves are a great snack, essentially no calories or carbs," McGough stated. "But eating pickles out of a conventional jar is inconvenient and messy, and pickle snacks are actually becoming a thing, particularly in [convenience] stores. So we've created Vlasic single-serve pickle slices and also a Vlasic vacuum-fried pickle chips that taste absolutely fantastic." 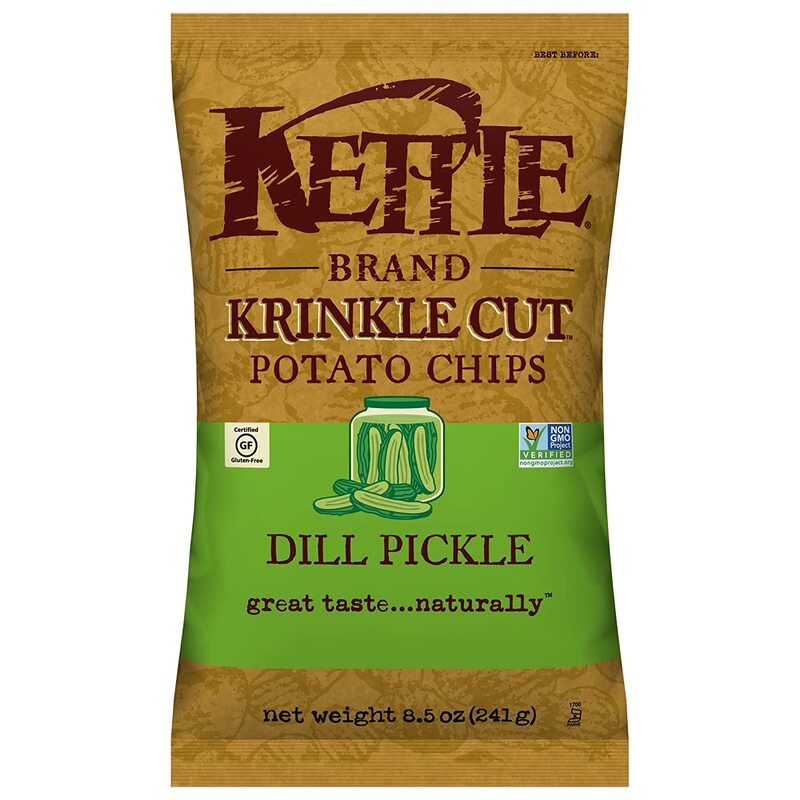 So not only do you get to look forward to kosher dill pickle chips, but you can also look forward to grabbing a pack of single serve pickle slices from the convenience store. The company hasn't released a date for when the product will be available, but we are hoping it's real soon. Until then we will just have to snack on pickle potato chips. And we ain't too mad about it.